Let the Games Begin: For the teams in the power conferences, February is the time when jockeying for position begins. Regular season conference games are used for conference tournament and NCAA seeding purposes. But for the Ivy League, whose season got into high gear this past weekend, these games are precious, for this is a one-bid league with no conference tournament. Only the regular season champ will begin the Road to the Final Four in March. Poll Position: Last year, Cornell, after some impressive non-conference performances, made an appearance in the Top 25. While an early season conference loss knocked them out, they continued to receive votes each week. And given their NCAA Tournament success, the votes proved to be warranted. 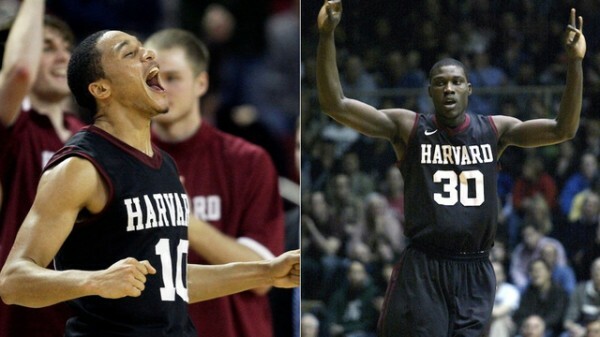 Trying to follow in the footsteps of the Big Red, Harvard (15-3, 4-0) received a vote last week in the AP Top 25. What have they done to impress? An eight-game winning streak and opening up 4-0 in conference helps. But it is what they have accomplished outside the Ivy which has swayed the scribes. Their three losses have come at the hands of George Mason (17-5, 9-2, currently second in the CAA) in the opening game without Kyle Casey; Michigan, a young, improving Big Ten team and recent conqueror of MSU; and #5 UConn (17-3, 5-3 in the Big East). And all of those losses came on the road. The Crimson also own wins over Colorado, who themselves have beaten both Missouri and Kansas State in the Big 12; and BC (14-7, 4-3; 4th in the ACC). Can Harvard duplicate Cornell’s tournament run? Perhaps. But first they must find away to get past Princeton and win their first ever Ivy League crown. Is the Bloom Off the Rose-n? : In 2010, RTC named Zack Rosen of Penn as the Ivy League Player of the Year. It was a somewhat controversial choice, as most gave the award to Jeremy Lin of Harvard. Either way, most observers thought Rosen would run away with the title this season. And he still may. After all, he is second in the league in scoring (15.3 points per game) and is shooting 45% from the field and close to 50% from beyond the arc, as Penn closes in on Harvard and Princeton. However, a closer look at the box score is in order. Penn has played five non-conference foes of note: Pittsburgh, Villanova, Kentucky, Drexel and Temple. Only against ‘Nova did Rosen perform up to par, scoring 20 points on 7-14 shooting. Against the other four combined, he shot 9-25 (36%), including 6-14 from deep (42%) for a total of 37 points (9.1 per game). A disturbing trend? Maybe, but he was facing superior athletes than those he will see in conference games. But when Penn was going to the NCAA Tournament on a regular basis, guys like Onyekwe and Jabber would save their best performances for the biggest games and toughest competition. While it is definitely not yet time to pack the tack on Zack, the jury is still out. Player of The Week: A difficult choice this time as there are some very worthy candidates, with the nicknames to match. There is Errick (Bushel and A) Peck who seems to be blossoming amidst the Cornell disaster; Jack (Scrambled) Eggleston who has become a stat sheet stuffer for the Quakers; Greg (“The Eater”) Mangano of Yale who leads the league in rebounding and is averaging a double/double. But this week, the rosters were combed to honor an unsung hero; a player who has emerged as a more than a capable running mate for Noruwa Agho at Columbia and is responsible for the Lions rise to first division status. And that is none other than Brian Barbour, who wins the award by a hair. In Columbia’s first four conference games (3-1) the 6’1 sophomore from California has averaged 19 points per game on 45% shooting. Over that span, he has also converted an astounding 27 of 29 free throw attempts. So rise from your chair, Mr. Barbour, and do an Argentine Tango while accepting the trophy. 1. 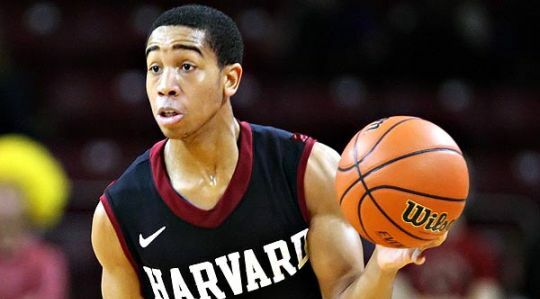 Harvard (15-3, 4-0)–An eight game winning streak; a six-man rotation that is as solid as they come; a mention in the AP Top 25; undefeated so far in conference. It is easy to see why they are # 1. This coming weekend will be a test and Friday at Princeton could be a game for the ages, and for the conference championship. 2. Princeton (14-4, 2-0)—It’s difficult to assess the Tigers as they have only played four games in a month and none of them versus tough competition. Their top six is equal to that of the Crimson and perhaps have the experience edge. Jadwin Gym should be rocking on Friday. 3. Columbia (12-6, 3-1)–Winners of nine of their last 11; an unlucky one-point loss to Elon and a loss at league elite Harvard are the only speed bumps for the Lions. Kyle Smith has to be the front-runner for Coach of the Year and Barbour and Agho clearly the top backcourt in a league full of quality guards. 4. Penn (8-8, 2-0)– The third of the league’s undefeated, the Quakers did what they had to do beating the bottom feeders at home, albeit in overtime over Brown. Two more home games followed by a five-game road trip should go a long way in determining where Penn’s landing will be. The good news is that they get Harvard on the rebound following their titanic clash against in New Jersey. 5. Yale (9-9, 2-2)–Two wins versus travel partner Brown followed by competitive losses in their toughest road trip against Princeton and Penn. Greg Mangano has been a beast, a POY candidate, and with six home games in their next eight, the Bulldogs have a real chance for a top-four finish. 6. Brown (7-11, 0-4)–Two competitive losses versus travel partner Yale and an OT loss at Penn have contributed to their winless record. Sophomore forward Tucker Halperin is one of the bright spots in the league. 7. Dartmouth (5-13, 1-3)–Many thought the Big Green would go winless; the same people thought Cornell would be contenders. However, Friday’s game put an end to both parts of that speculation, as Dartmouth broke a five-game losing streak with a seven-point victory against the Big Red. Unfortunately, Paul Cormier may not get another conference win. 8. Cornell (4-14, 0-4)—I wonder how many that watched Ryan Wittman and company get to the Sweet 16 last year thought the descent would be so rapid. Peck, Ferry, and Wroblewski can play. But can Bill Courtney coach? He’ll have time, but his squad’s four victims? Wofford, Delaware, Stony Brook, and Albany. ‘Nuff said. The loser of this Friday’s clash between league powerhouses Harvard and Princeton will have to wait a month (March 5) for a rematch. It is not unreasonable to assume a head-to head split and an early March playoff to determine league supremacy and a spot in the NCAA Tournament. Princeton experience vs. Harvard athleticism. Tommy Amaker vs. Sydney Johnson. Hummer, Maddox, Davis, Mavraides vs. Wright, Casey, Curry, and Webster. Catch it if you can. The return from finals was not kind to most of the Ivy members. The league went an aggregate 8-12 against less than stellar competition, thus dropping the Ivy into a tie for 12th (with the MVC) in conference RPI. Lowlights abounded, including Brown becoming the first Ivy team to lose to Army, Harvard’s embarrassing no-show vs. then #4 Connecticut, and Penn traveling to snow-covered and picturesque Poughkeepsie to lose to those dastardly sly Red Foxes from Marist… the same Marist that lost to Holy Cross, effectively removing the Crusaders from the Reverse Survivor Pool. But the granddaddy of ineptitude belongs to Cornell. A more detailed description of their fall from grace below. Interestingly enough, Princeton, which doesn’t break for exams until mid-January, escaped the chaos, winning three of four. It was not all doom and gloom. We would be remiss if we did not mention Dartmouth breaking their 0-7 record in the state of Iowa (no statistical info available on their record in the other 49 states) with a victory over Missouri Valley foe Drake; a 67-59 win that was, indeed, a piece of cake. There is no truth to the rumor that the Big Green is now considering relocating to Des Moines. Everyone knew there would be growing pains for coach Bill Courtney in his first season at Cornell. After all, the Big Red graduated four key starters from their NCAA Sweet Sixteen team of 2009-2010. But with a returning core group that saw considerable action last year, led by Seniors Mark Coury and Max Groebe, juniors Andrew Ferry and Chris Wroblewski and sophomore Errick Peck, the future did not seem bleak. Add a solid recruiting class, and many thought that Cornell could compete with pre-season favorites Harvard and Princeton. And that the chances for a four-peat were possible and not a term limited to those in the School of Agriculture. Despite a 2-6, start the faithful were encouraged by the performance at then #15 Minnesota–a game that Cornell could/should have won. A soft schedule and lots of practice time between games would be just what Courtney needed to set his rotation and get the team back on track. Even the most pessimistic fans could not have envisioned the last two weeks. It began with a one-point loss at lowly Binghamton. Cornell was up 16 in the first half only to see the 3-8 Bearcats go on a 18-3 run and score the winning basket with 14 seconds to go. Okay–a bad loss to a bad team but the end of a five game road trip. Home cooking and a taste of Cayuga’s waters awaited. What followed was an 11-point loss to Bucknell, sending the 2600 in attendance home despondent. Nine days later, the end of the seven-game losing streak seemed like a good possibility as the Big Red faced New Hampshire in the opening round of the Richmond Marriott Tourney. However, despite four players in double figures, a see-saw second half saw the Wildcats emerge with a two point victory. The next night, however, saw a glimmer of hope. Shooting 64% from the field, including a sizzling 71% from beyond the arc, Cornell hung on to beat Wofford 86-80 despite almost squandering a 17-point second half lead. Stats tell the story. Health and line-up changes too. Only five players have played in all 12 games and only one Adam Wire has started all of them. Twelve players are averaging more than eight minutes per game. As a team, Cornell has been outscored by an average of five points per game, outshot 44% to 38%, and outrebounded by an average of eight per game. While the results so far have been disappointing, the rest of the season is not without hope, During this losing streak, Cornell has lost two games by five, two games by two, and a game each by one and three. Only the loss at Syracuse was lopsided and understandable. Would the presence of Steve Donahue make a difference in some of those close defeats? Perhaps? Remember, this is Courtney’s maiden voyage sitting in that first seat. Does he need time to grow into it? Possibly. There is still about a month to go before Ivy play begins in earnest. Supporters and Ivy fans in general hope that Thursday night’s victory is the spark that begins to turn things around so Cornell can make it a three and possibly four team race to the wire. But it is most assuredly a case of wait and C.
Kareem Maddox becomes the second Princetonian (Ian Hummer) to win the coveted RTC POW trophy. In the four games the Tigers have played there was no holding this Tiger. Despite a foul-plagued, sub-par game vs. UCF, The 6’8 Senior from Oak Park, Ca. has scored 61 points (15.2) on 54% shooting and has grabbed 17 rebounds. Maddox has averaged 31 minutes per game primarily coming off the bench. Clearly the favorite for Ivy Sixth Man of the Year. And kudos to his family, no doubt Lakers and Braves fans. 1. Princeton (10-4)–it was going to be a great story. A nine-game winning streak punctuated by a win over a Top 25 team. Both seemed poised to happen as the Tigers led #19 UCF by eight at halftime. Then along came Mr. Jordan. Not Michael, but his son Marcus, who scored 22 of his game-high 26 points to rally the Knights to a 68-62 victory. Despite that, Princeton, the preseason favorite in most publications, enjoys its first week in the penthouse. 2. Harvard (8-3)–Crimson relinquish top spot based on Tiger success and their own dreadful performance against UConn. Harvard shot 30% en route to a 29 point defeat led by Christian Webster’s 0-9. Only Keith Wright (18 points, 7 boards) showed up. Tommy Amaker’s squad gets well vs. Div.III MIT to ring in the New Year. 3. Columbia (7-4)–with last night’s 74-71 win at Maine after a 19 day layoff, the Lions have now won four straight and six out of their last seven. Junior guard Noruwa Agho leads the way averaging a bit better than 16 points per game and continues to jockey with Penn’s Zack Rosen at the top of the Ivy scoring race. 4. Penn (5-5)–poised to take over the # 3 spot after disposing of Delaware. But evidently a feast of Blue Hen did not sit well as the Quakers fell flat vs. Marist. Miles Cartwright, a 20-point scorer and starter against Delaware, remembered he was a freshman and scored only six on 2-11 shooting. At least Jerome Allen has settled on a consistent starting lineup that now includes Cartwright and inside beast Conor Turley. 5. Dartmouth (4-8)–by default, the Big Green moves out of the cellar as the only other Ivy team to actually win a game (the aforementioned 67-59 vs. Drake) during the this two-week span. Before all you Hanoverians go careening down the slopes in paroxysms of glee, that win was sandwiched between a 29 point loss to Iowa State in which Dartmouth could manage only 42 points and a 17 point loss at Bucknell. 6. Yale (5-6)–not much separates the Elis from their Providence neighbors (see below). Both were 0-2 this week and each has a winnable game on New Years Eve. Yale gets the nod based on actually taking a cross country road trip (can you say “Fawn Leibowitz?”) to get pounded by Stanford. Seems another basketball team from the Nutmeg State had trouble out in Palo Alto. 7. Brown (4-6)–the Bears sport losses to Army (88-86) and Central Connecticut St. (67-51). Their murderous schedule continues with a home game against Bryant to close out 2010. 8. Cornell (3-9)–their struggles have been chronicled above. One doubts they are truly the worst team in the league. Sophomore Errick Peck has been the lone bright spot scoring 68 points in the last four games. Here’s hoping the Big Red has some table games and a flat screen in the basement. Most conferences dive into conference play after the first of the year. Not so the Ivy League. With the exception of isolated games against their travel partners, intra-league battles do not begin for another month. Brown has only two games–American and Lyndon(Johnson) St–before facing travel chum Yale. Columbia faces Elon, Lafayette, and Union before a home and home date with Cornell, a game they could realistically enter at a lofty 10-4. Buffalo and Stony Brook represent an opportunity for the Big Red to get things straightened out before league play. Dartmouth puts their lofty #5 ranking on the line with a game against Ivy patsy Army before facing their travel partner, Harvard. The Crimson have a chance for a bit of redemption for their rocky Hartford horror show when they travel to Chestnut Hill to see old friend Steve Donahue and his improved BC Eagles. Penn begins 2011 with a televised game at #11 Kentucky followed by a Big Five showdown with La Salle. The good news is that the Quakers will be battle tested before beginning conference play. Princeton only has one game (Marist) in the next 23 days as their players hit the books instead of the court. With games ahead vs. Holy Cross and Baruch, Yale should be looking at a two-game winning streak. Boola-boola! To all the fans and followers of the schools of the Ancient Eight, may your 2011 be filled with buzzer beaters, filled and raucous gyms, creative cheers, a nail-biting Ivy race, and of course many RTC-worthy games. And to my loyal readers–and you know who you are–my sincere wishes for happy times with grandchildren, a return to a healthy and vibrant life, a filled Citi Field, California/New York dreamin’, and brisk camper enrollment. Happy New Year, everyone!